Imagine 20 to 40 energetic children under the age of 13 praising God in song, soaking in God’s Word, having fun, being Blessed and being a Blessing. Whitney Smith, Brian Smith and Dorothy Burks are the Leaders. 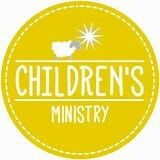 They with a host of helpers teach our Children at 11am on Sunday and 7pm on Wednesday. You want to talk about fruit bearing! These precious children ages 3 to 12 put many of us to shame with their unabashed vocal proclamation of their love for Jesus and with their memorization of verses from His Word.